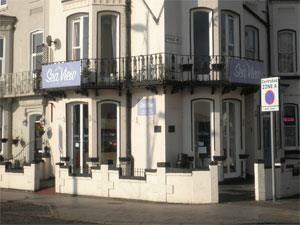 Sea View Guest House, a nine bedroomed guest house overlooking the seafront. All of the rooms have en-suite facilities, wifi and tea and coffee making facilities. On arrival in Great yarmouth follow signs for the seafront.Sea View Guest House is located on the corner of Marine Parade and Princes Road.